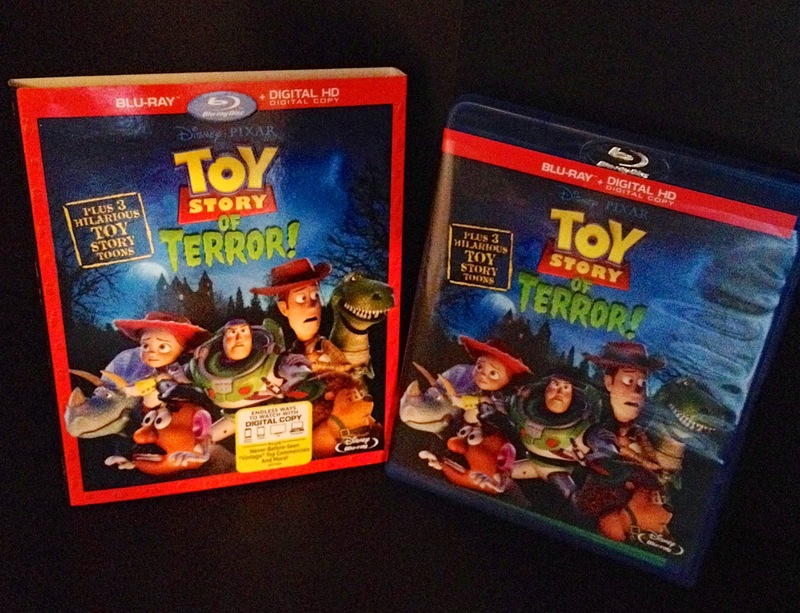 Today I'll be switching gears a bit from my Cars collection (yes, pun intended) to bring you my full write-up on Pixar's latest home video release...Toy Story of Terror! Toy Story of Terror is directed by the fantastic Angus Maclane (Small Fry, BURN-E) and originally premiered on ABC on October 16th last year as a Halloween season special. Historically, it marked Pixar's very first 30 minute (well, technically around 22 minutes without commercials) television film. As of this past Tuesday (August 19th), almost a year later, the film is now available to own in all of its high definition glory with an excellent array of bonus features. I'll be reviewing my personal copy, which is on Blu-Ray (with a digital copy), but the film is also available on DVD, iTunes/Disney Movies Anywhere and Amazon's Instant Video. NOTE: This isn't a full review of the film itself, but I do have to add here that I absolutely love it. I was able to catch it just twice on TV last fall, but was never able to record it because of our lack of DVR. I have now been able to watch it three additional times since purchasing the Blu-Ray and, I have to say, I have a better appreciation for it each time I watch it. I remember the first time I watched it, I was shocked at how fast the pacing went. I felt like I didn't even have time to soak in all the humor, details and subtle references (plus, it was a pain to sit through the commercials). Now, I can just sit back and relax with the ability to watch, re-watch, pause and fast forward at my leisure. 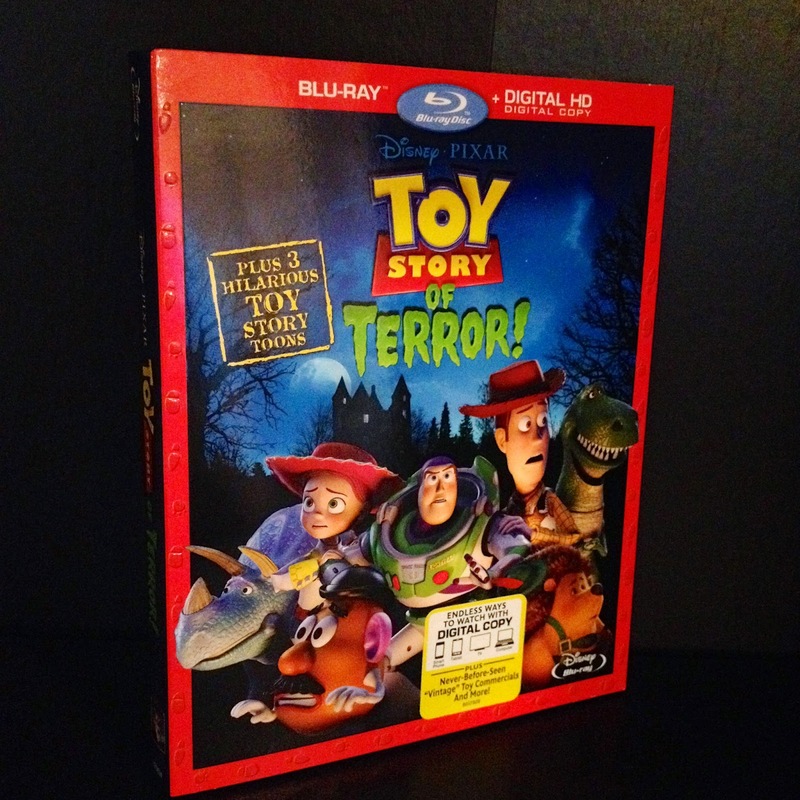 Toy Story of Terror, despite being a television release, has all the quality, wit, charm and heart of a Pixar theatrical release crammed into just 22 minutes. Many of your favorite toys are back (including Buzz, Woody, Jessie, Mr. Potato Head, Mr. Pricklepants and Rex) and are voiced by all of the original actors. In addition, we get to meet a cast of all new characters as well, who fit into the Toy Story franchise seamlessly (such as the fan favorite, Combat Carl). The music is superb (scored by Michael Giacchino, see my full review of the soundtrack release HERE), the animation/lighting is flawless, the sound is incredible and the story is an absolute blast with some good twists and turns. If you've yet to see the film, I can't recommend it enough. My hat is off to Angus Maclane and his entire "team of specialists"! First of all, the menu, which is of course based on the old-school horror movie that the toys are watching at the beginning of the film. I really love the way they went about doing it. 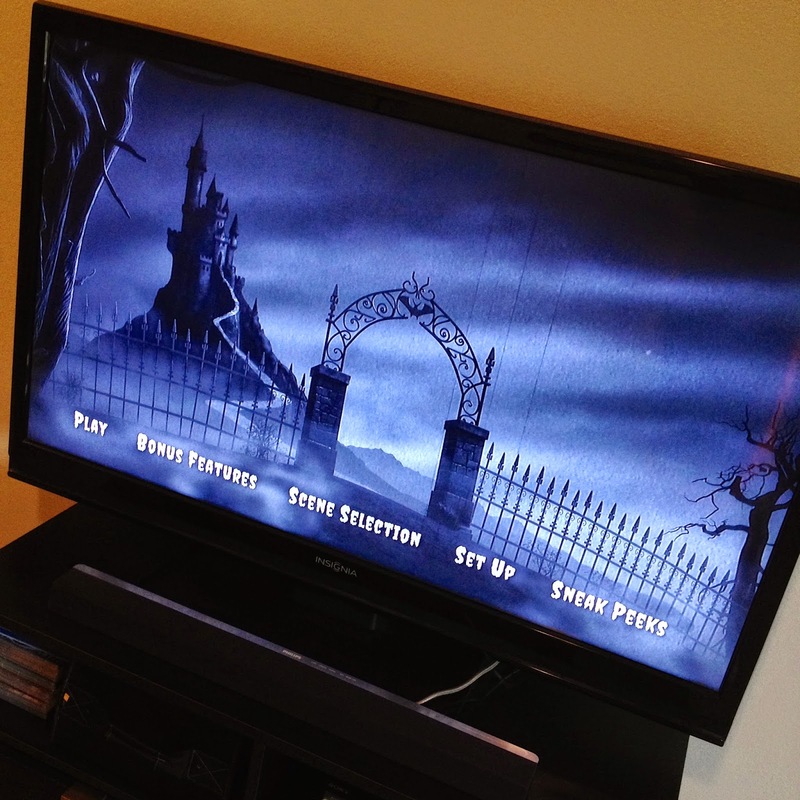 It's subtlety creepy, "Halloweenie" and has a really cool black and white "old movie" film look to it. As a side note, if you keep the menu playing for long enough, you'll see a light turn on in the castle. Keep on listening and you'll hear a guy turning on a sink, brushing his teeth, stepping on a cat and then falling down the stairs. It was a funny touch! All three Toy Story Toons that have been released up until this point (Hawaiian Vacation, Small Fry and Partysaurus Rex). Each "toon" includes an audio commentary. What's really neat, is that this is the first time we've gotten a commentary for Partysaurus Rex, which was a blast to watch/listen to! Mark Walsh (the film's director) and some of his team seemed to have had a really fun time recording it while making it extra fun and unique. 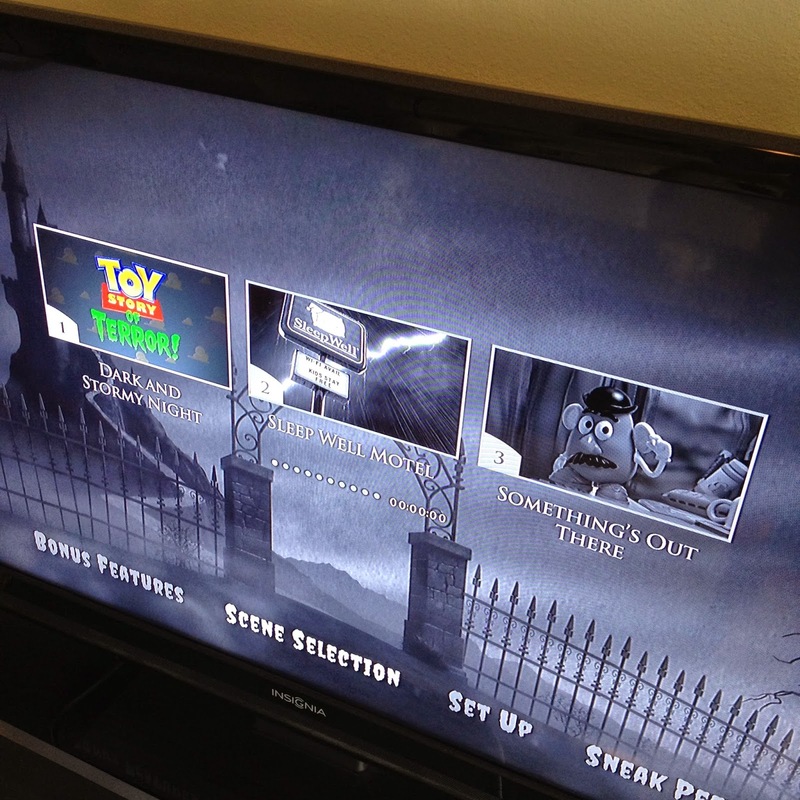 Additionally, I think it's also cool that we have all four Toy Story short films conveniently on one release now. 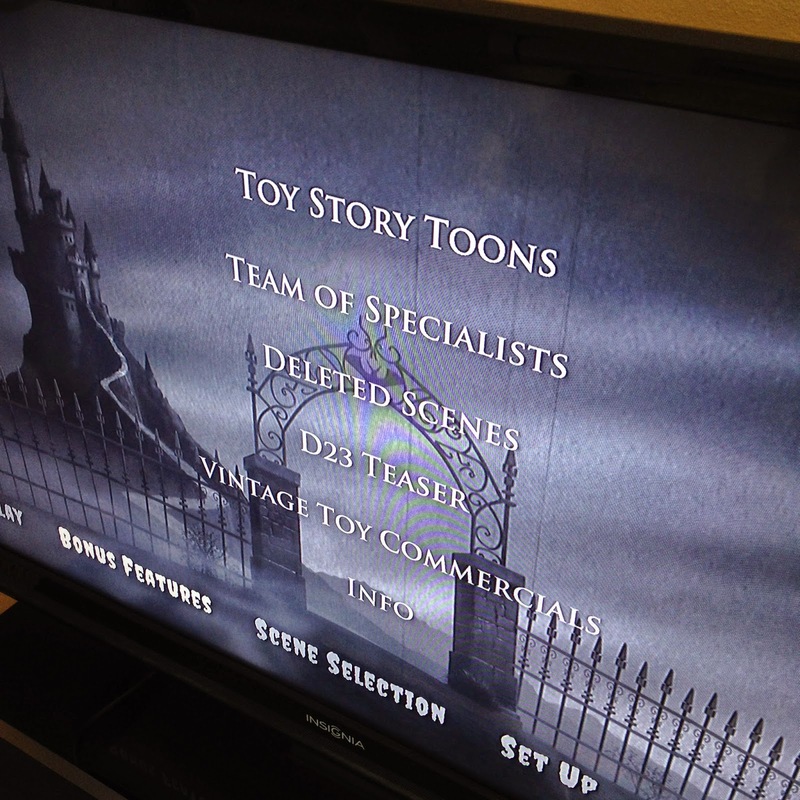 Team of Specialists- This little 13 minute (or so) documentary takes you behind the scenes into the making of Toy Story of Terror and follows director Angus Maclane as he goes through a typical production day. Deleted Scenes (with intros by the film's editor Axel Geddes) - There are three deleted scenes included with this release, including: The Pencil Topper Trilogy, Travel Brochers and Road Trip Roulette. Note: Did you catch who did the scratch voice for the pencil topper Benny? If you said Peter Sohn, you'd be right! His voice is unmistakable. D23 Teaser- This teaser premiered at the D23 convention last August and is made up of some of the film's most "intense" moments. It really brings a full-on horror movie vibe! Vintage Toy Commercials (with intros by Angus Maclane)- Pixar went ahead and produced three 1980's/90's style "toy commercials" based on some of the new characters seen in the film: Combat Carl, Transitron and Old Timer. These commercials are meant to depict what real TV ads would have been like if these toys were really produced. For example, Combat Carl's commercial is in the same vein as the old G.I. Joe PSA cartoons and Transitron's is a take on the old Japanese Transformers and/or Voltron commercials. Pixar did the same thing with Lotso Huggin' Bear back in 2010, which you can view HERE. 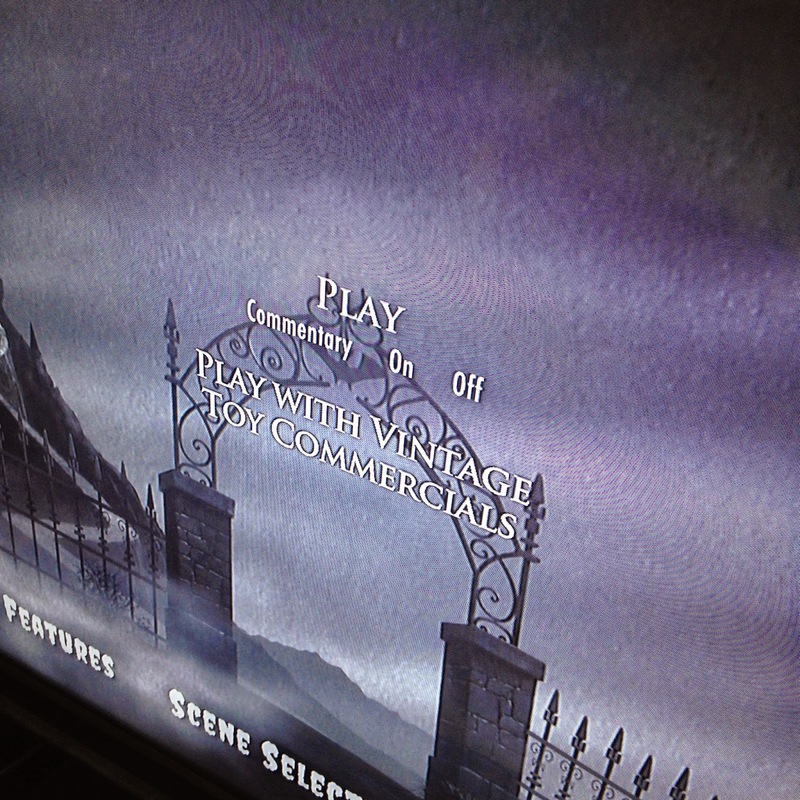 There are a few ways to view the film (all of which I've done): Of course, with or without the film-makers' commentary, but you also have an option to view it with the above mentioned three vintage toy commercials during the three commercial breaks! I thought that was a pretty clever addition. The audio commentary (featuring Director Angus MacLane, Director of Photography Ian Megibben and Editor Axel Geddes) is really fun and entertaining, with some really interesting insights into the making of the film. You can really tell that Angus and his team had an absolute blast making Toy Story of Terror. Their love and passion for the work, characters and franchise really comes through. Also, for a limited time, DisneyMoviesAnywhere.com has some additional exclusive bonus content, only available through the site/app. These include: Bob's Boatyard deleted scenes (2:04) and Film Studies with Professor Pricklepants (2:35). Definitely check those out as well! All in all, this is a great release of a great film with the highest of sound and picture quality. I'm not disappointed in the slightest so I'm gonna go ahead and give it five out of five stars. 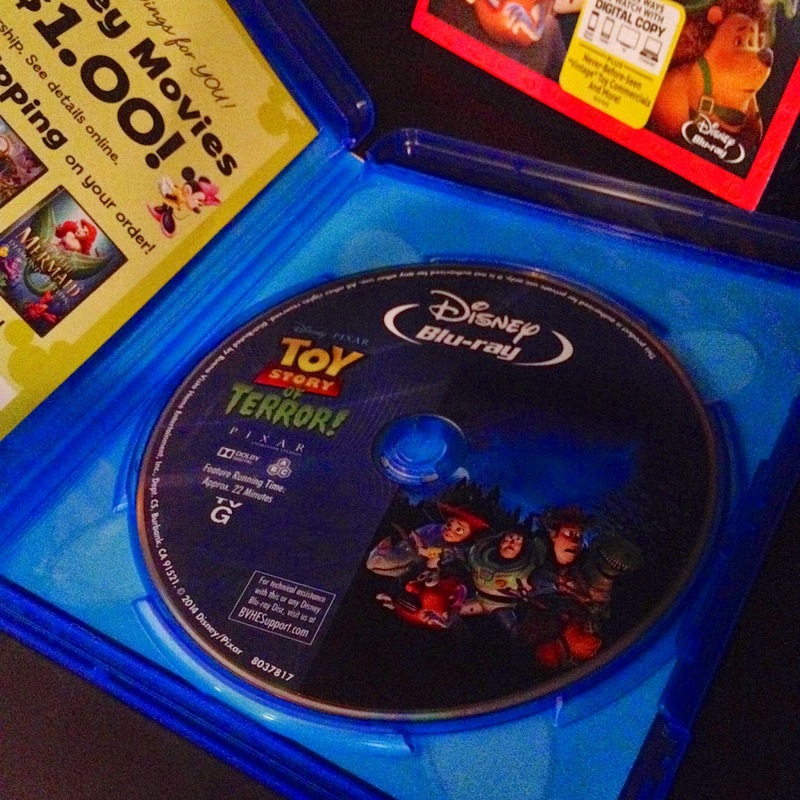 For additional products surrounding Toy Story of Terror, check out the label to the right. In addition to the mentioned soundtrack review, there you'll find info on a recent book release based on the film and an action figure set as well. Thanks so much for taking the time to visit the blog and be sure to check back daily for more from my Pixar collection! Labels: Blu Ray & DVD, Toy Story 1 2 & 3, Toy Story of Terror!